This trail has a little bit of everything for everyone. Beginners may encounter some steep pitches in places, rooty sections, and some downhill sections, but it's well worth it! The best way to ride this trail is clockwise and just turn around and come back the way you came once you get to the top of the viewing platform overlooking the lake. 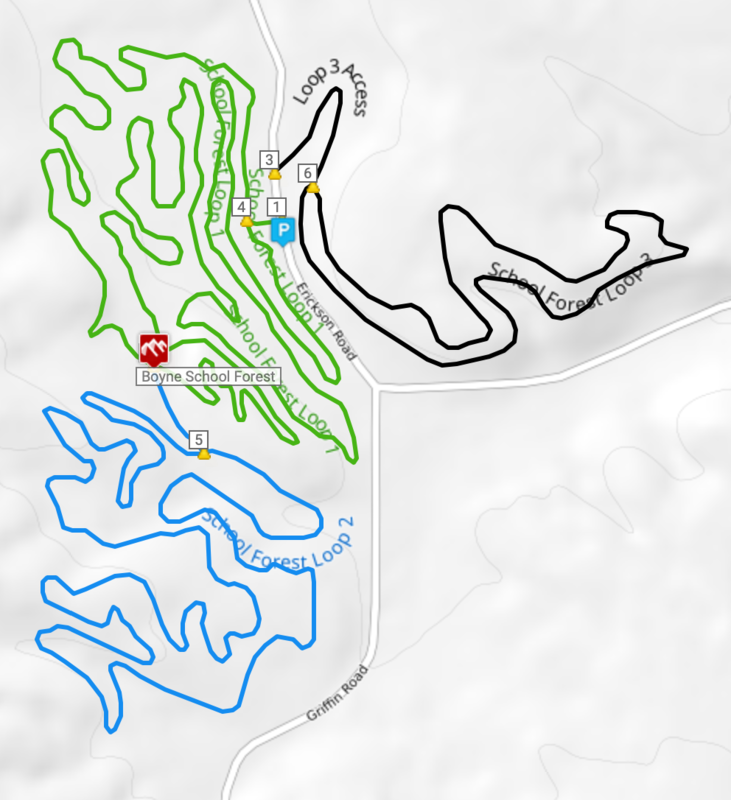 This is a favorite for all levels of mountain bikers in northern lower Michigan. There is a restroom at the trailhead, a great view from the top of the hill looking over Lake Charlevoix and downtown Boyne City, many great restaurants and a great bike shop nearby. Check them out at North Country Cycle Sport. 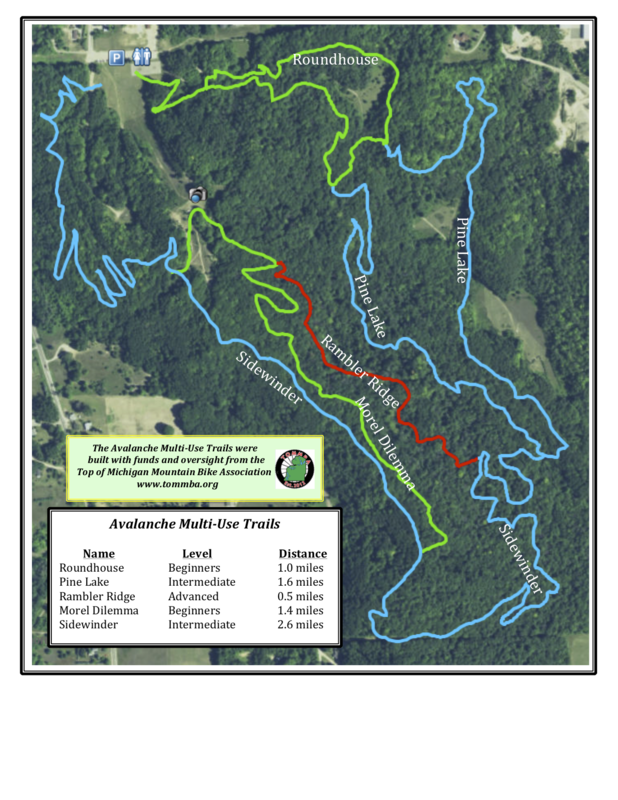 The trail is a multi-use trail shared with hikers and trail runners. Around the park there is also a well-maintained disc golf course. This is a multi-use trail in the Boyne City School Forest. This first loop is intended for riders of all abilities. the second loop has more intermediate features. The third loop, which is on the other side of Erickson Road, has more advanced features. The trail can be ridden in both directions and is constructed as connecting loops, so it is easy to navigate. There is a map at the trailhead on Erickson Road.